Recipes | Who's Cooking for Kacey? In a large stock pot, bring 1 quart of water and 1 quart of organic chicken broth to a boil (I used chicken broth because I didn’t have a whole chicken and was only using breasts.) Add chicken and boil for about 5 minutes. Reduce heat to low and simmer for about an hour. Remove chicken and allow to cool before shredding. Save chicken broth. While chicken is simmering, heat 1 tbsp. of olive oil in a sauté pan over low heat. Stir in onion, garlic, sweet peppers, celery, and carrots. Slowly cook until browned, stirring occasionally. Meanwhile, in a separate pan, heat butter and olive oil over medium heat. Add flour to butter and olive oil and stir constantly to form a light brown roux, about five minutes. Whisk in about 2 cups of the chicken broth, black pepper, cayenne pepper, thyme, and oregano and reduce heat to low. Break spaghetti noodles in half. Boil spaghetti in the chicken broth until almost done. 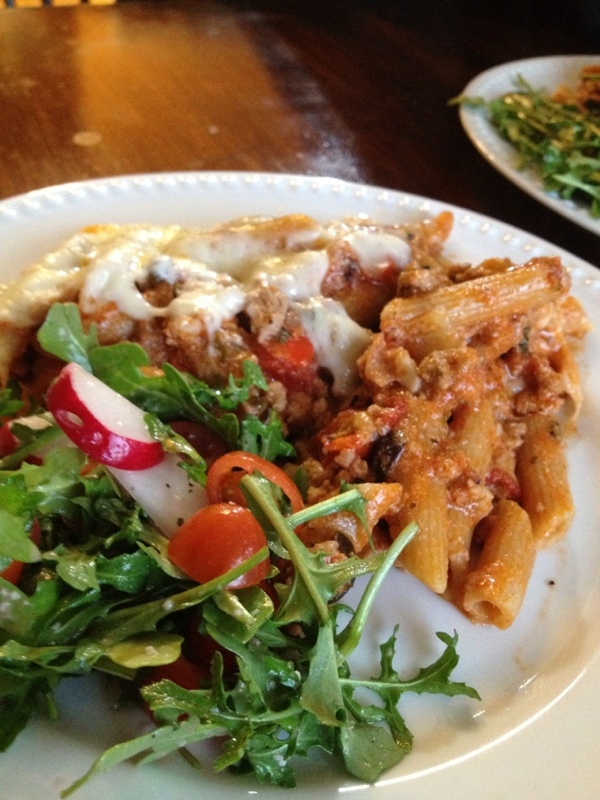 Do not overcook as the pasta will be baked to finish the cooking. Drain pasta and place in a large mixing bowl. Add in onion mixture, shredded chicken, pepper jack cheese, cream of chicken soup, tomatoes, olives, and parsley. Use salad tongs to toss the mixture and incorporate all ingredients. Transfer to a casserole dish and cover with the cheddar cheese. Bake at 350 degrees for about 30 minutes. Remove from oven and let cool for five minutes before serving. Place halved tomatoes in a 13 x 9 baking pan, cut side up. Shower tomatoes with olive oil. Add chives, basil, rosemary, oregano, red pepper, and salt and pepper. Bake for 2 hours. Place sweet peppers in oven and roast until skin can be easily peeled (about 45 minutes) turning occasionally. Meanwhile, caramelize onion and garlic in butter over low heat for about 45 minutes, stirring occasionally. In a separate sauté pan, add olive oil, carrots, mushrooms, chicken sausage and ground sirloin. Cook over medium heat until chicken and beef are fully browned, stirring as needed. Remove tomatoes and peppers from oven and peel skin from both. Place tomatoes in a dutch oven. Using a potato masher, mash tomatoes until a thick sauce forms. Slice peppers and add to sauce along with tomato paste and chicken broth. Add cooked meat mixture to sauce and bring to a boil. Reduce heat and simmer for 2 hours. Add cooked pasta, mozzarella, and Parmigiano Reggiano to the dutch oven and place in oven for 20 minutes. Remove dish from oven, add fresh Italian parsley and basil to each serving. Top with grated Parmigiano Reggiano. Boil Macaroni until almost cooked, and firm. In a dutch oven, heat 1/2 stick of butter on medium-high heat until melted. Incorporate flour to the butter stirring constantly for 5 minutes. 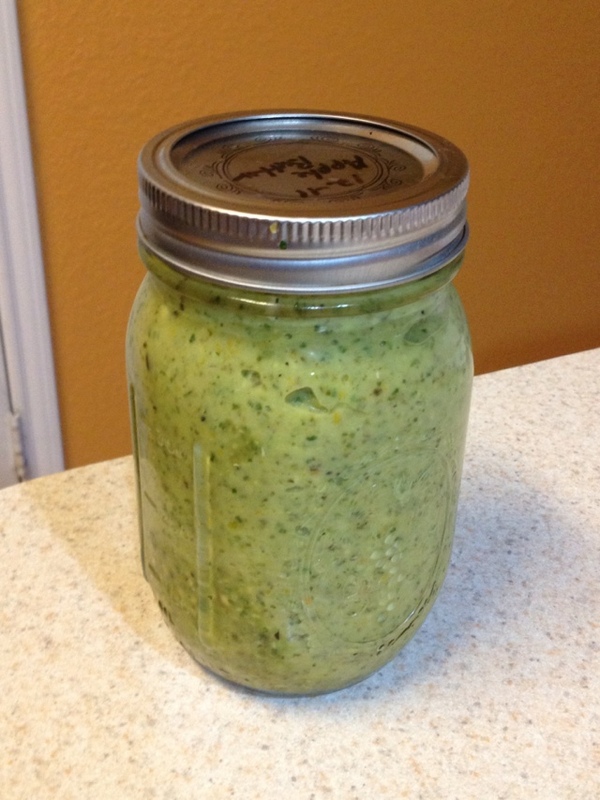 Pour in almond milk and mustard, reduce heat to low, stirring frequently. In a small bowl beat the egg. Scoop spoonfuls of the sauce and slowly add to egg. Continue to whisk the egg until smooth and tempered. Pour egg mixture back into sauce, whisking until combined. Add salt and pepper, blue cheese, and 1/2 of the cheddar cheese. Stir until combined and melted. Remove from heat, and stir in macaroni. In a cast iron skillet, heat remaining butter over medium high heat. Dust scallops with flour and preferred seasonings. Cook in butter for 2 minutes on each side. Add to macaroni and cheese. Transfer Macaroni and Cheese mixture to a casserole dish and top with remaining cheddar cheese. Bake in preheated oven for 15 minutes. Let cool for 5 minutes before serving. Bring tomatoes, tomatillos, garlic, and smoked poblano peppers to a boil in a saucepan over medium heat. Reduce heat and let simmer for 15 minutes. Pour tomato mixture, along with remaining ingredients, (add jalapeños for extra heat) in food processor, and pulse until smooth and creamy. Transfer to quart sized glass jar and refrigerate. Preheat broiler. Bring 1 quart of water to a rolling boil. Add potatoes and cook for 20 minutes. In the bowl of a stand mixer with the flat beater attached, combine cooked potatoes, half of the blue cheese, sour cream, butter, and salt and pepper. Mix on medium speed for two minutes. Transfer potatoes to an oven safe dish and top with remaining blue cheese. Place in oven under for five minutes. Melt butter in a sauté pan over medium-low heat. Add onions and garlic and cook until translucent. Add frozen spinach, salt and pepper, and cook for 5 minutes. Stir in whipped topping and reduce heat to low, cook for 5 minutes, stirring frequently. Sautee diced onion and red pepper over medium heat for 5 minutes. Add garlic, turkey and sausage and cook until browned. Add tomato sauce, diced tomatoes, herbs and olives. Bring to a boil and reduce heat, let simmer for 15 minutes. Remove from heat and mix in cooked pasta and ricotta cheese. Transfer to casserole dish and top with a layer of provolone cheese. Cook in oven for 20 minutes. Let cool for 5 minutes before serving. Preheat oven to 350 degrees. Whisk together flour and baking soda in a small bowl and set aside. Drop butter into the bowl of an electric mixer fitted with the paddle attachment. Mix on medium until butter is smooth. Add cocoa powder and both types of sugars to the mixer bowl and beat on medium speed until mixture is smooth and fluffy. Reduce speed to low; add salt, vanilla, and eggs. Beat for 1 minute. Add flour and chocolate chips. Mix until combined. Drop tablespoon sized balls, two inches apart, on baking sheets lined with parchment paper. Bake until cookies start to brown around the edges. Perfect timing in my oven is 12 minutes. Pull out of oven and cool on baking sheet for 2 minutes. Transfer to cooling rack to cool completely. Note: These have a more cake-like consistency. I like mine more chewy. Danny mentioned that he will take on this challenge sometime in the future, so be looking for a chewy chocolate chip cookie recipe coming soon! Sauté onions and mushrooms in butter for five minutes. Add flour and stir for a minute. Add heavy cream and bring to a boil. Stir in tuna, peas, scallions, and parsley. 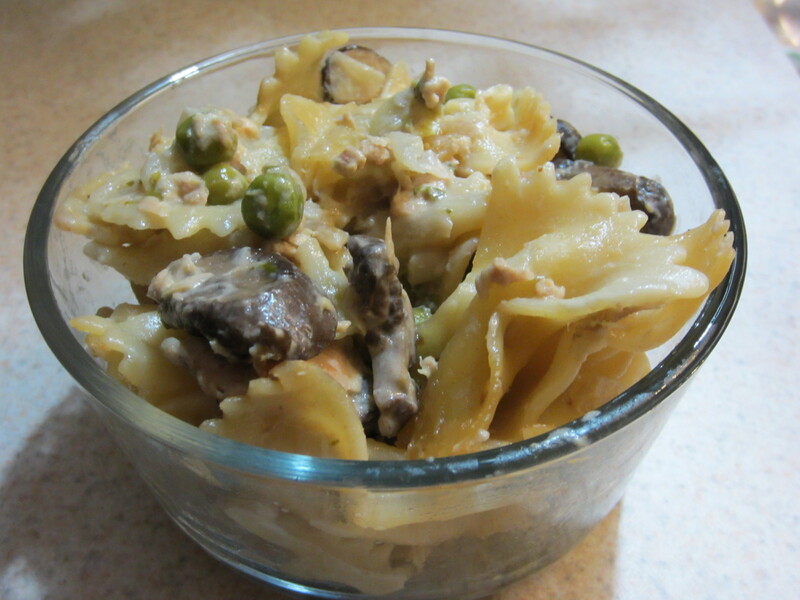 Fold in pasta and transfer to a casserole dish. Cover with parmesan and place in oven for 10 minutes. 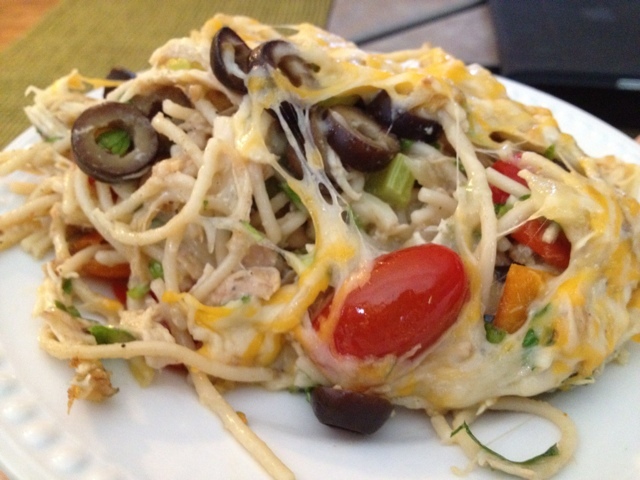 Pingback: Not-Your-Average Chicken Spaghetti « Who's Cooking for Kacey? 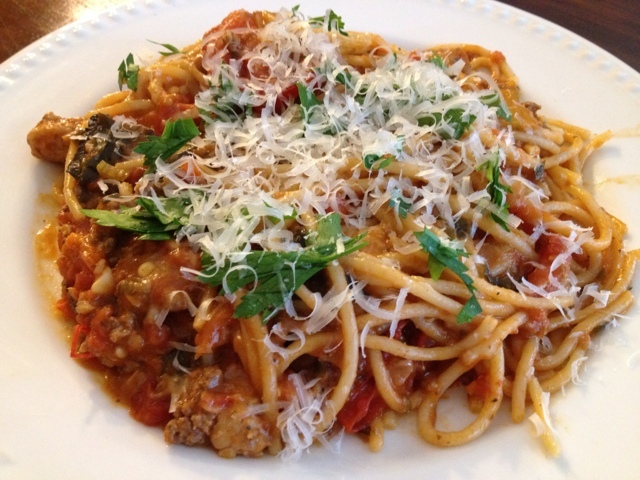 Pingback: Danny’s Kitchen: Garden Fresh, Organic, Gluten-Free Spaghetti « Who's Cooking for Kacey? I want all of this. I am going to make the mac and cheese, the penne pasta and the cookies this week. I can’t take it. I’m glad you’re excited about Danny’s recipes…he is happy to hear it too! 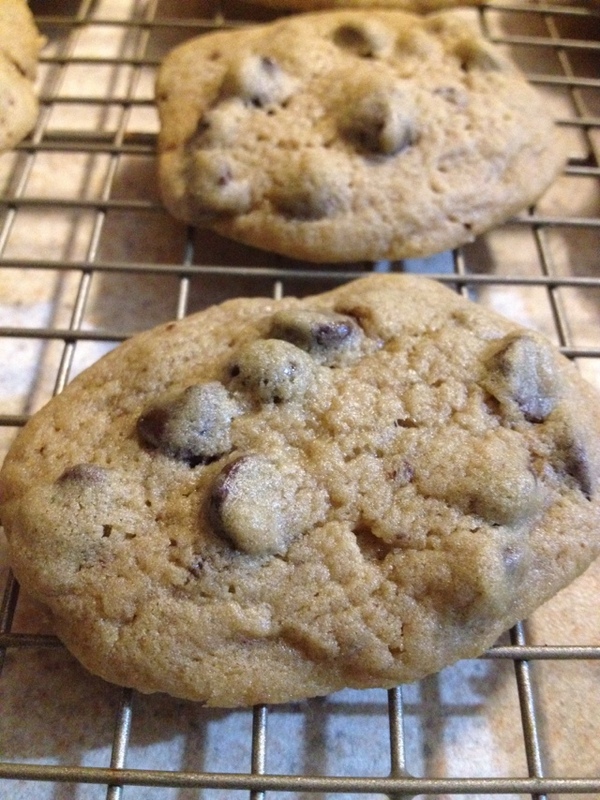 Remember, the chocolate chip cookie recipe is still waiting to be perfected. Perhaps when he has more time we’ll have a whole day dedicated to it in Danny’s Kitchen! Think of the wonderful aromas we’ll be basking in! Pingback: Steam-pot with Lobster, Crab, and Shrimp, Oh My! « Who's Cooking for Kacey? 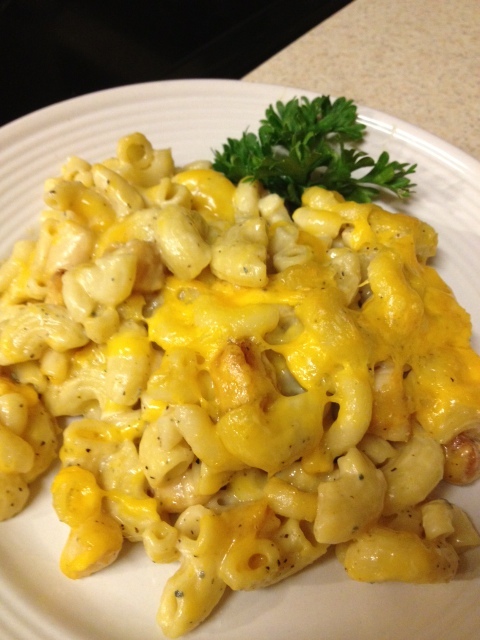 Pingback: Danny’s Unbeatable Mac ‘N Cheese « Who's Cooking for Kacey? Pingback: Danny’s Kitchen…and Smoke House « Who's Cooking for Kacey? 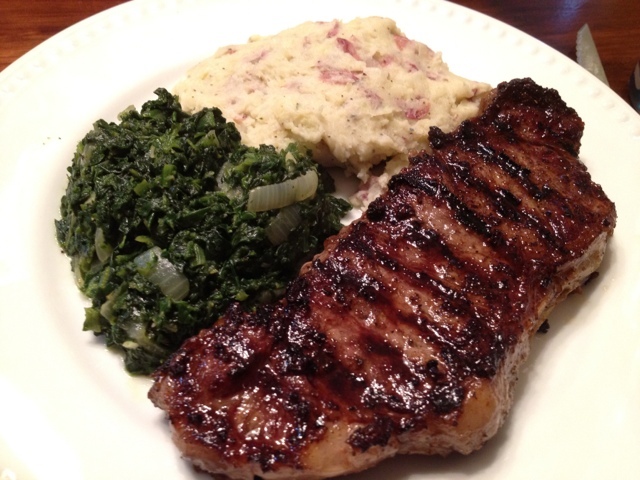 Pingback: Steak it to Me « Who's Cooking for Kacey?